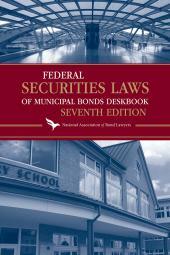 The NABL Library of Publications brings you Federal Securities Laws of Municipal Bonds Deskbook. 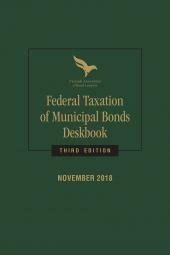 Federal Securities Laws of Municipal Bonds Deskbook is an essential guide for all bond lawyers, regulatory staff, in-house counsel for investment banking firms and banks, state and local government attorneys, and other securities professionals. 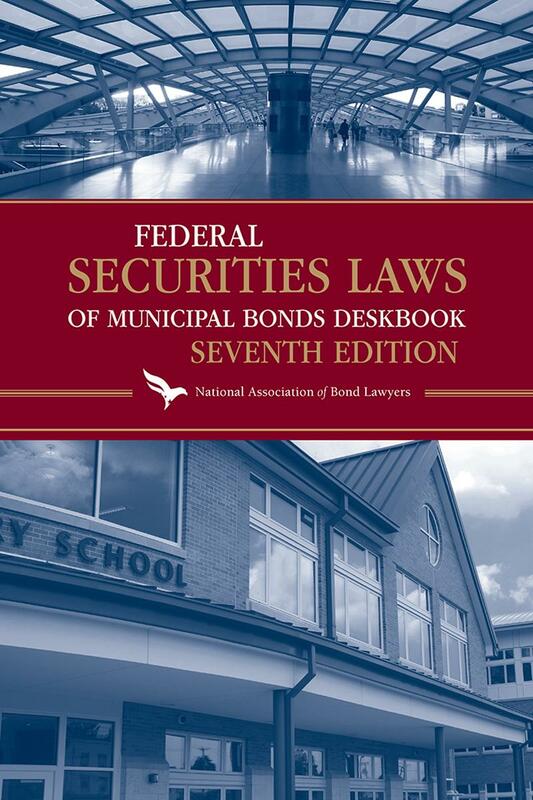 Prepared by members of the National Association of Bond Lawyers, this comprehensive publication delivers all key materials relating to the federal securities laws of municipal bonds in a portable deskbook and companion eBook with expanded content. The publication contains key sections of the Securities Act of 1933, Securities Exchange Act of 1934, and the Investment Company Act of 1940, as well as select SEC cease-and-desist orders, interpretive and no-action letters, and summaries of important SEC enforcement actions and reports. 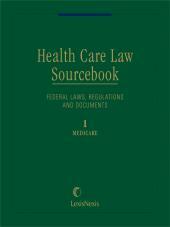 The Seventh Edition includes key sections of the Dodd-Frank Wall Street Reform and Consumer Protection Act, Rule 15c2-12, relevant MSRB notices, and SEC and MSRB notices related to EMMA.  To learn more about other NABL products, please visit store.lexisnexis.com/site/nabl. § 7.07  SEC Report on the Definition of "Accredited Investor" (Dec. 18, 2015). § 9.11  Neil O'Hara, The Fundamentals of Municipal Bonds (John Wiley & Sons, Inc.: 6th ed. 2011).